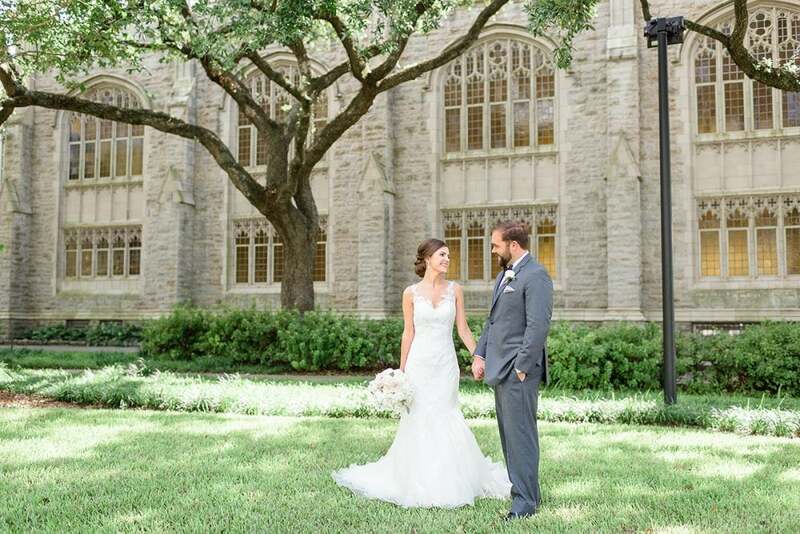 Emily and her groom became the third generation in his family to get married at the remarkable St. John’s Cathedral in Jacksonville, FL. 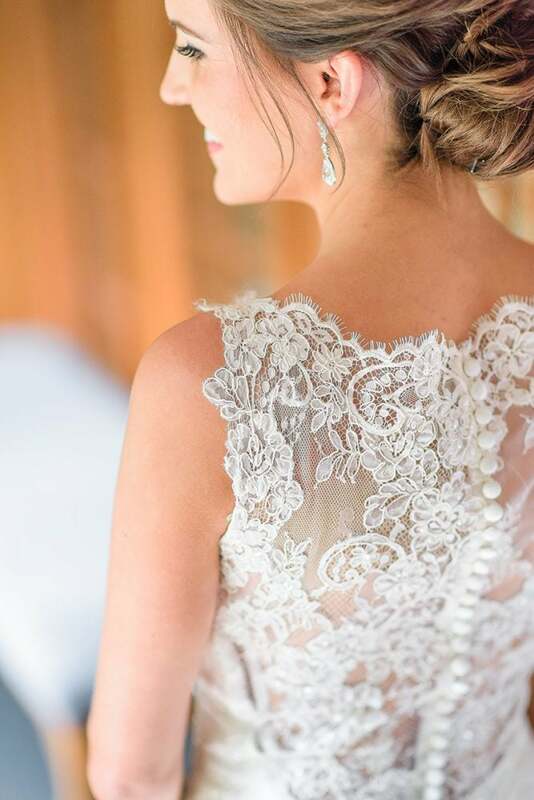 She wore an Augusta Jones gown with intricate floral lace detail, and was confident in her choice of having Association member Oceanside Cleaners preserve it following the nuptials. 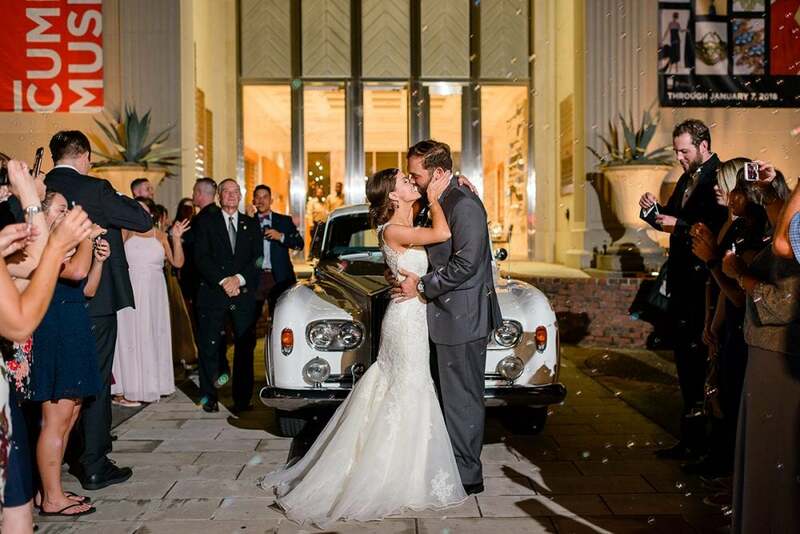 Our wedding took place in Jacksonville, Florida. 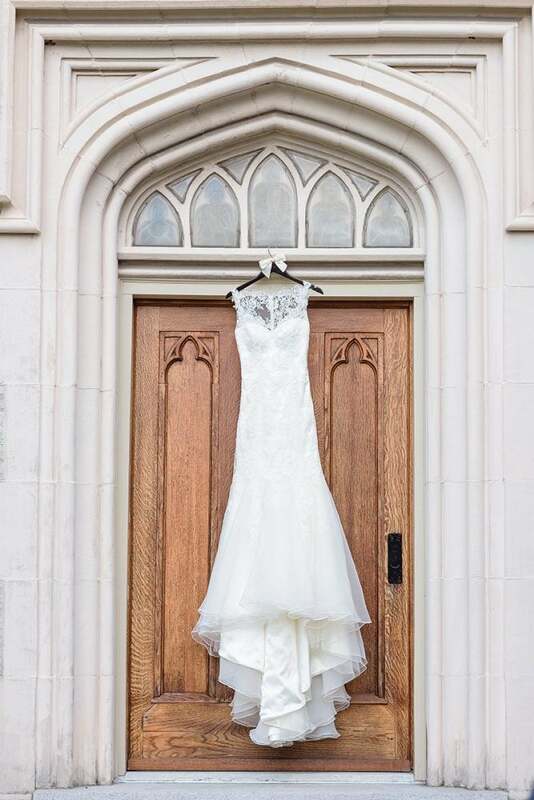 Ceremony was at St. John’s Cathedral, and the reception – Cummer Museum of Art and Gardens. 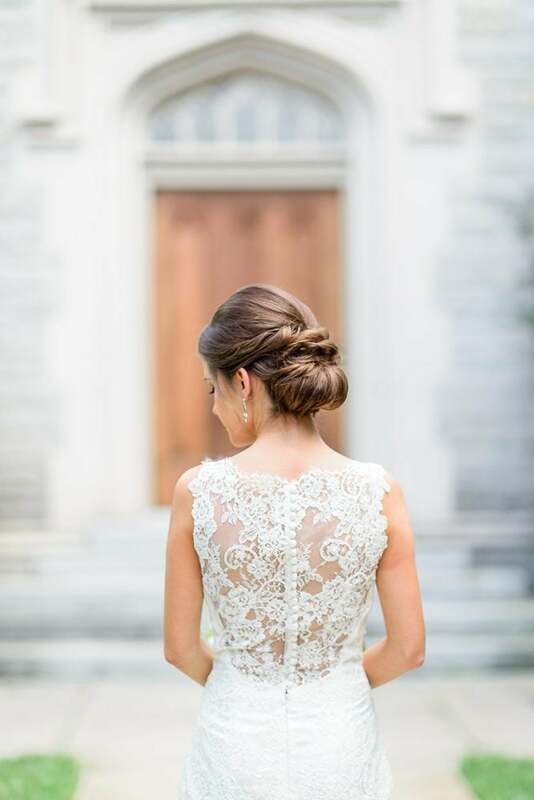 Augusta Jones – The White Magnolia Bridal Collection. I was actually lucky enough to find my gown the first time I tried on dresses. I showed the stylist pictures of different styles I liked and she pulled this dress for me along with several others. It truly encompassed everything that I envisioned myself in for my wedding day. It was the third gown I tried on, and the only one that really brought tears to my eyes. I had my bridesmaids, mother, and mother-in-law with me and it was the group favorite as well. I still tried on several more after it but found myself comparing each one to that dress. I tried it on again at the end and knew it was “the one”! 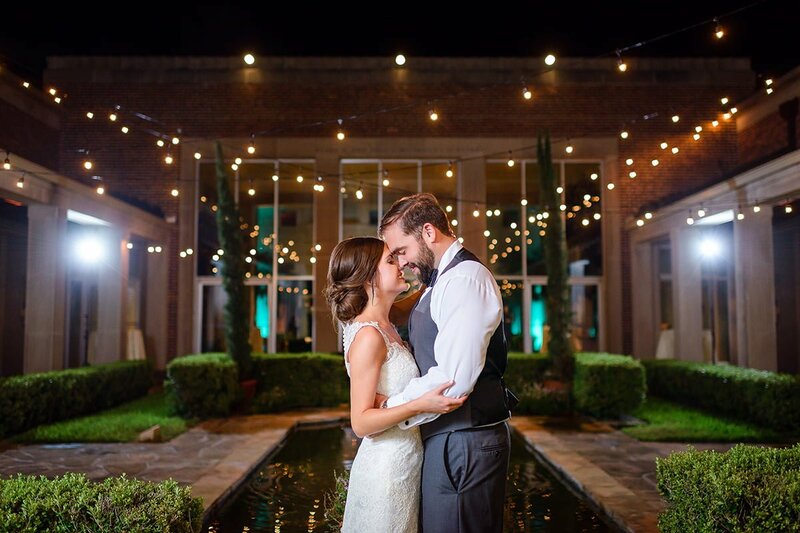 It is so hard to pick a favorite because the whole day was absolutely perfect! I would say that my favorite memory was having my grandmother there. 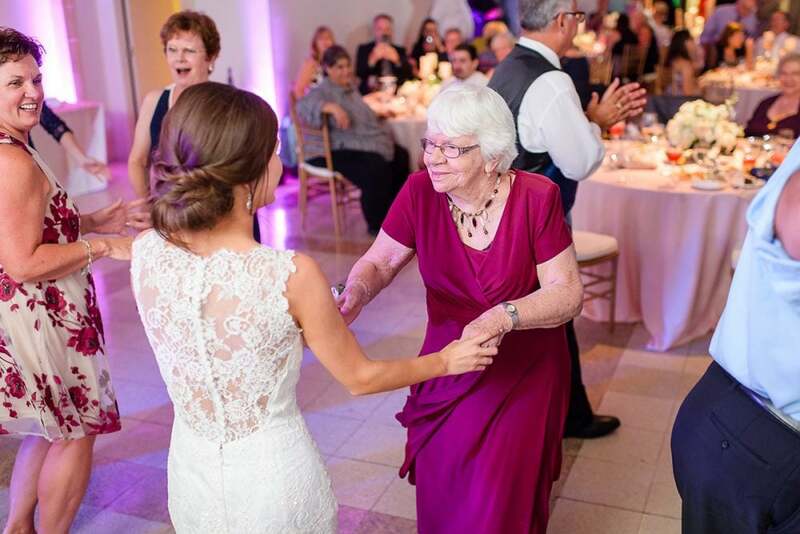 She passed away almost a month after the wedding and I could never even imagine not having her be a part of our special day. 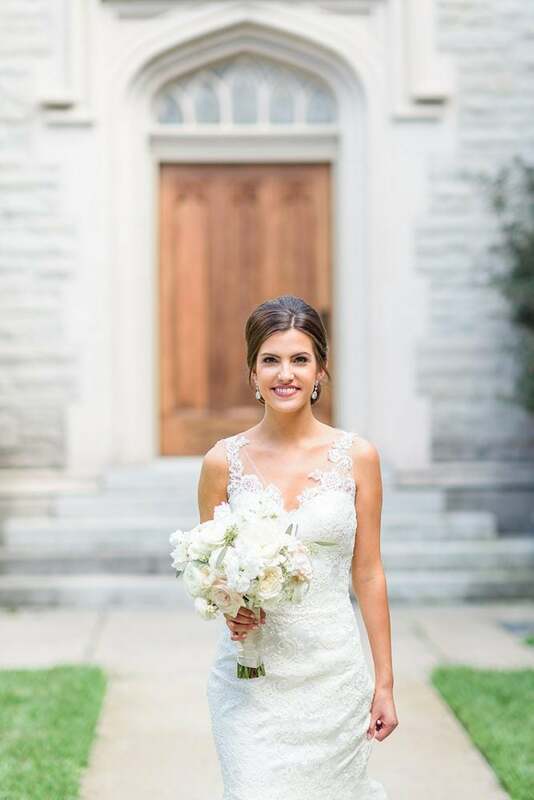 I am extremely fortunate that our photographer (The Veil Wedding Photography) captured so many amazing photos of her. She was even out on the dance floor dancing the night away! It was a true blessing to have the whole family together to share such wonderful last memories with her. I LOVE my dress so I knew I had to have it cleaned and preserved along with my veil. It is my dream to one day have a daughter of my own to be able to wear my dress or veil if she wishes. My mom did not preserve her dress and wishes that she did, so I had her advice and encouragement to make sure this was something that I did. 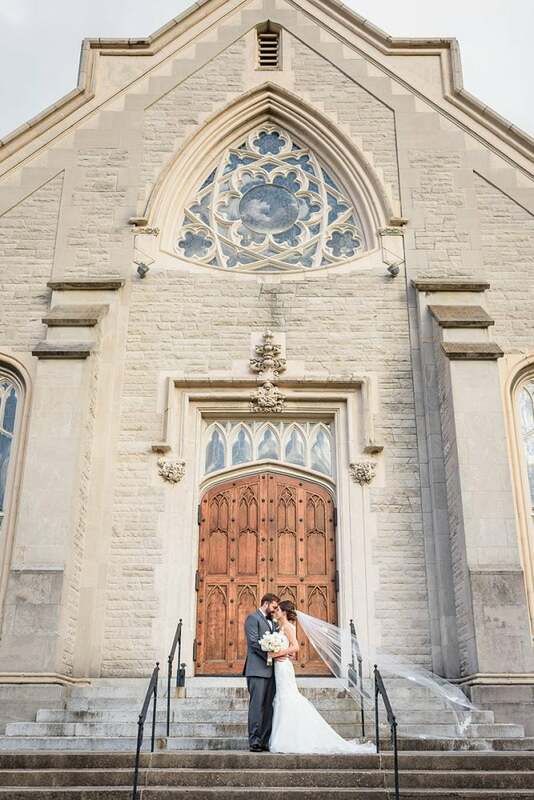 We were the third generation on my husband’s side to be married at the Cathedral as both his father and grandfather were married there before us. 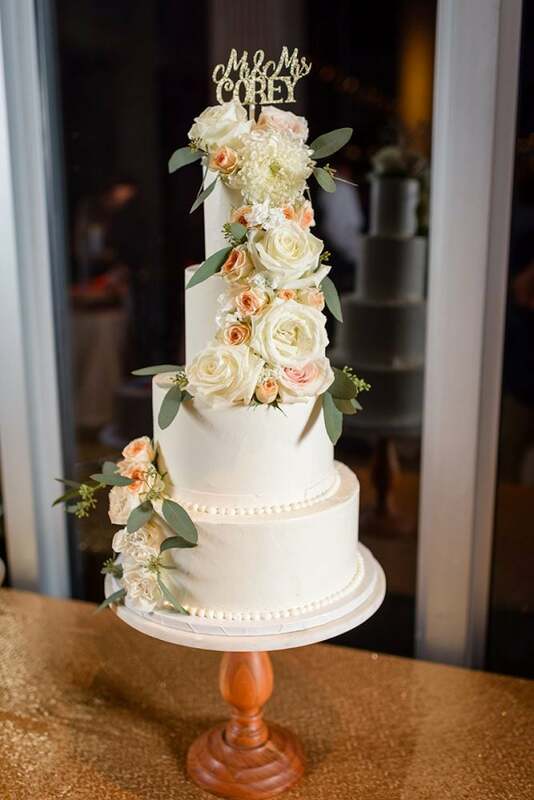 Family and tradition are very important to us so that made our wedding feel extra special. 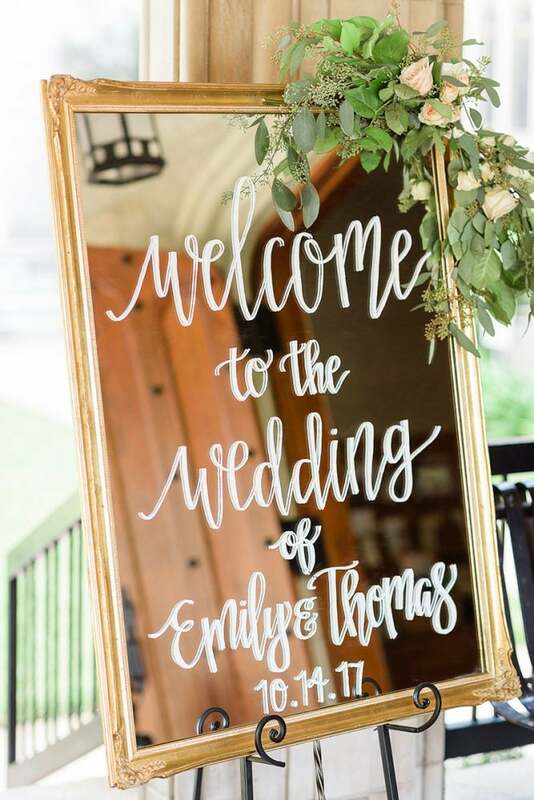 I wouldn’t trust just anyone to handle such a special piece of my wedding day. The reputation of the wedding gown department at Oceanside Cleaners made it an easy choice and I am SO happy that they did it.